The front door is the first thing that welcomes visitors — and prospective buyers — into your home. Make a great first impression by choosing the perfect colour for your front door. When selecting a colour, pick one that contrasts with the rest of the house and surrounding landscape. You want enough to draw the eye but still work with the surrounding colors. A front door color doesn’t have to be subdued. 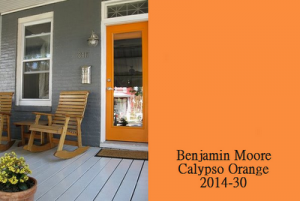 Don’t be afraid to paint a front door a bright orange, green or blue if it fits your taste, surroundings and style of your home. Colours look best in groupings of three. So applying this rule, consider one colour for your siding, one colour for your door and a third colour or shade for your trim. 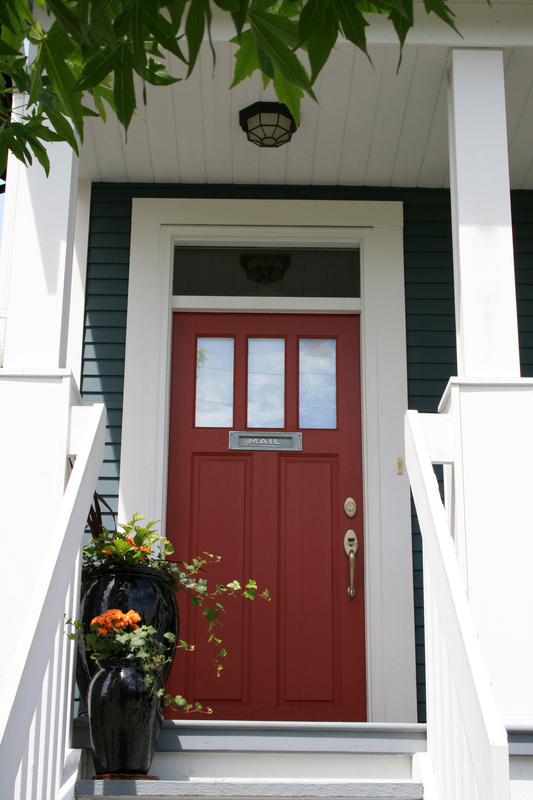 If your siding is light, a darker colour looks best for your trim and then a deep or bright colour for your door. Don’t overlook the colour of your roof. It is too big to change! If you have a green roof, it will have to be one of the colours in your overall scheme. Drive or walk around your neighborhood and look at other doors. See what works and what doesn’t. Pay particular attention to houses that have the same siding/roofing materials or colour as you. What looks great on a red brick house may not translate to pastel stucco. An easy way to try out different colors is to photograph the front of your house and print a large colour print, cut out the door, then using paint chips as front doors, try out various colors. If you are comfortable with Photoshop or Paint, you could do this on your computer, or you might want to check out the Sherwin Williams website, www.sherwin-williams.com and try their visualizer. You can upload a picture of your house and test drive their paint colours. 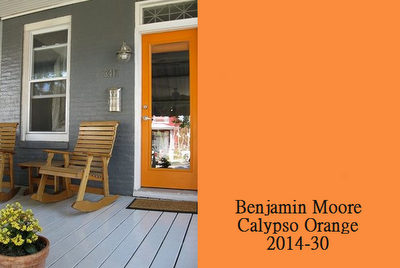 Front doors offer an opportunity for personal expression. Choose a color that best expresses your individuality or the feel of the household. 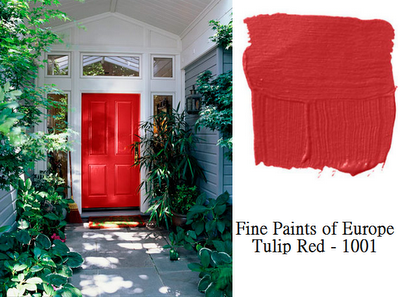 What the colour of your front door says about you. 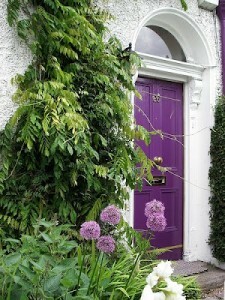 Some cultures and traditions have meanings surrounding the colour of your front door. Here are some fun facts. Blue traditionally represents sky, water and abundance. A beautiful blue front door suggests trust, stability and prosperity. Dark blue doors are believed to create calm and peace for your home, and in turn, bringing those feelings to guests and family who enter. Additionally, blue is thought to bring lots of positive energy into a space. 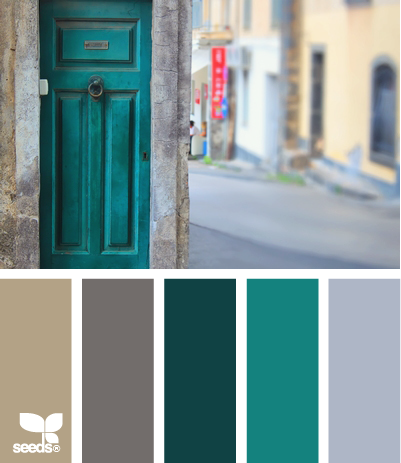 Green has always been a popular choice for the front door. No wonder since green is said to represent balance, peace, compassion, growth, renewal, and harmony. White is a classic color for doors, especially on a cottage style home. Throughout history, white has come to represent purity, serenity, and virtue. choice. Black is the colour of elegance and power. Much like the little black dress and the power suit, in the right setting, it is stunning. 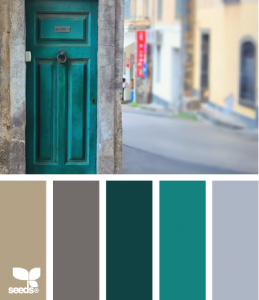 So, what is your favorite color for a front door? Attach a photo of your door in the comment section. I’d love to see the color you chose! Measuring for a door is easy to do yourself if you know some door specific vocabulary and a few tricks of the trade. Follow these tips – and you won’t arrive home with a door that is too big, or too small. Jamb – wood framework that surrounds the doorway. It does not include any trim/casing that is usually adhered to the interior/exterior wall surface to hide where the door jamb meets the sheet rock, stucco, brick, etc. The door jamb is solely the framework in which the door is set. Door Swing Direction – left or right. This is used to determine which sides will be hinged and which will have the door knob. When you open your door away from you, the hinges will be on the side you call the direction. Hinges on the right, mean a right-hand door. Out-Swing/ In-Swing – Most front doors are In-swing doors, meaning they open to the interior of the home. Often patio doors will swing to the exterior and are called Out-Swing. Interior doors are only identified by their swing direction. Sweep – Usually a metal or rubber plate adhered to the bottom of the door to prevent leaks and to keep debris from entering through the gap under the door. Weather stripping – Usually a vinyl strip around the edge of the jamb to prevent air leaks from entering through the gap between the door and the jamb. Casing – The esthetic piece that is attached to your interior and exterior walls and door jamb to hide where the jamb meets the surface material. It should never be included in any door measurements. Standard vs Custom sizing – The standard door height is 80″. Standard widths for interior doors are: 18, 24, 28, 30, 32, 34 & 36 inches. Standard widths for exterior doors are: 30, 32, 34 & 36 inches. 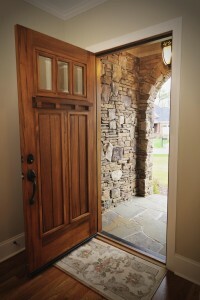 Custom sizes can add substantially to the cost of your door. Standard doors can be trimmed up to 1/2″ on top, 1″ on bottom, and 1/2″ in width (1/4″ on each side). You just want to replace your door slab. The existing jamb is in good condition and is plumb and stable. You just need to measure your existing door. You have a finished opening, maybe you are exchanging a bifold door with a standard swing door. You will need a jamb and want your new door prehung. Now you are ready to measure. 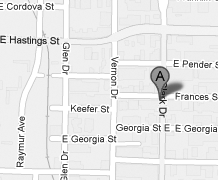 - Draw a rough diagram of your door or opening. Mark the location of the hinges and handle/knob and you will know which way it hangs. Label it a right- or left-hand door and in-swing or out-swing just to be safe. If you are replacing an existing door. WIDTH Measure the existing door in at least three places (top, mid-point and bottom) to ensure that the door is a consistent width. For exterior doors – measure the inside of the door for In-swing doors and measure the outside of the door for Out-swing doors. HEIGHT Measure the existing door in at least 3 places (left, mid-point and right). If these measurements differ, your jamb may be warped and need replacing. THICKNESS Measure the thickness of the existing door – this is likely to be 1 3/8” (internal) or 1 3/4” (external). You want a Pre-hung Door. Rough Opening. Measure the opening width between framing members and from the bottom of the sill to the top of the opening. For existing openings, you have to remove the interior trim to get accurate measurements of the rough opening. 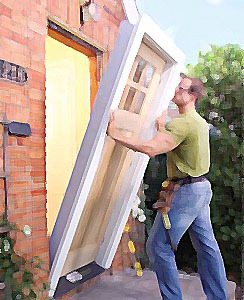 Bring in your sketch and we can get started on your new door!